Revelation Publications was established in 1994 as a publishing ministry. Our goal is to spread the good news of the gospel to the world through the written Word. Our method is distribution of Bible studies and other spiritually nuturing materials. We make them available at wholesale prices to everyone so they can be generously shared by all. My wife, Vonda, and I first began a music ministry in 1994. This started in the local churches and soon became regional and national. She has had the privilege to be a regular vocalist on 3ABN, Hope, KSBN-Safe TV, and other television networks. Over the years she has also been privileged to share her music in many churches of all denominations around the country and internationally. The Lord also provided opportunities for us to share our music in the prison systems. During our prison concerts we would share the awesome book, Steps to Christ and invite the inmates to join our correspondence Bible study school. Many of the inmates expressed the great blessing they were receiving from this Spirit of Prophecy book and, through a series of events, the Lord impressed me to develop them into a Bible study format. By His blessing these lessons made their way into many correctional institutions around the country. A short time later we began receiving requests from several other large prison ministries to utilize our materials. This then led to many requests for other materials with the same type of format. Thus Revelation Publications was officially birthed as a publishing ministry. The Lord provided an opportunity for ministry exposure and growth by a 3ABN interview. A good friend who was experienced in publishing suggested asking for some endorsements from religious leaders. This gave credibilty to our ministry and soon Adventist Book Centers were requesting that we also distribute the materials through them to churches and individuals. 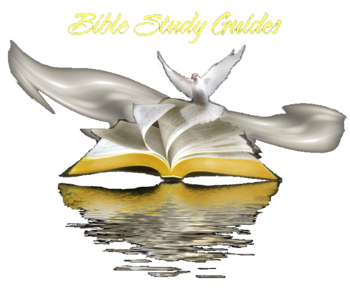 Over the years this humble publishing ministry has produces many other Bible study guides with distribution of several million world-wide. I must selfishly confess that I, as the compiler of the majority of the guides, am the most blessed but it is my prayer that millions of others will be blessed also and God is answering that prayer. The guides are being distributed widely in the U.S. but, due to the prohibitive cost of shipping, they were having limited distribution world-wide. God has solved that problem also. In addition to the study guide format distribution of the series, the Steps to Christ series is also being distributed by the millions to third world countries around the world by Light Bearer’s Ministry in an individual lesson format. We praise God for the growth and success of this humble ministry and ask for your prayers and continued support! © 2017 Revelation Publications. All Rights Reserved.